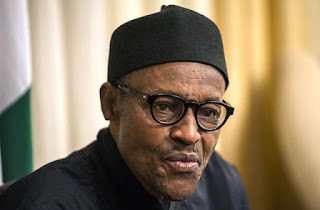 Nigeria Gists: Can Buhari Be For Everybody, Really? Can Buhari Be For Everybody, Really? “I am for everybody, I am not for anybody”, so rang out what became the defining words of Muhammadu Buhari at his inauguration as President on May 29, 2015. It was a quotable quote, an emotive sound bite that stood out in the inaugural address and got everybody’s attention. It apparently sought to sell a populist myth of a President beholden to no one. However, there is also the interpretation that it is a targeted statement aimed at a political financier and aspirant godfather. An extension of the President’s “I am for all and for no one” is the populism of non-interference with the two other arms of government – Legislature and the Judiciary – as demonstrated by his laissez faire attitude to the National Assembly leadership crisis that saw Bukola Saraki and Yakubu Dogara romping to the Senate Presidency and House of Representatives Speakership respectively against the position of their party, the All Progressives Congress. But separation of powers is in theory, just a myth of democracy as the President must assent to legislative bills to become law while he also appoints judicial officers, including justices of the Supreme Court. Where, then, is the separation, in practical terms? However, it would seem that President Buhari is striving to live down his image of the draconian military strongman of yesterday and swinging to the other extreme of being the idealist democrat, the evangelist of separation of powers in a democratic polity. But, really, can Buhari, a presumed reformist President and change agent, be for all and sundry? Can the all include those beneficiaries of the rotten past, the avowed opponents of change scheming to truncate it? Can President Buhari, in a real world situation, play the utopian democrat when needed legislation would have to drive change and yet hope to succeed with the Change Agenda? And the change mantra – what is the operational definition of CHANGE by the All Progressives Congress, the party that runs the Federal Government? What are the articulated strategies to achieve that defined change? Posers. It is striking that seven months into his tenure, President Buhari and the APC are manifesting a failure of intellectual and philosophical rationalisation of the change they sold to the Nigerian electorate. It would seem that there was no intellectual vanguard to articulate the specifics of the desired change and a reasoned pathway to achieving same. The outcome is that both the Presidency and the APC are getting hobbled by the enormity of the problems they inherited and groping, apparently without anticipated and coordinated plan to tackle such emerging challenges. Taking advantage of the situation, various pressure groups, including violent criminal gangs, cult groups, religious extremists as well as militant ethnic irredentists are having a field, having taken a measure of the Federal Government’s resolve at maintaining public order and concluded it is tepid. It is a perception, but is reality to its holders. So, before the CHANGE mantra becomes a joke, the Presidency must articulate the CHANGE VISION and offer a roadmap to that destination. As public governance, what people see today is more of the same – no substantive change, so far. Even the President’s flagship crusade, the war against corruption, is being prosecuted by the Economic and Financial Crimes Commission in its usual format of old as a titillating drama of extrajudicial disclosures about mind-boggling multibillion naira bazaar of graft with journalists providing support as drummer boys! The EFCC seems to relish its posturing in the court of public opinion better than the court of law. Special Adviser to the President on Media and Publicity, Mr. Femi Adesina, captured the essence of President Buhari’s challenge and what could be articulated as his vision for Nigeria with his piece on a New Sheriff in Town. The sheriff was a folksy American frontier hero, the tough guy, who rode into lawless frontier towns in America’s Wild, Wild West, guns blazing, to restore order in a showdown with outlaws. So, President Buhari’s main challenge is to restore public order in what is turning out a lawless, violent, anything goes Nigeria. It is a modern version of an uncompromising Showdown with Outlaws. A sole focus on anti-corruption campaign, with emphasis on theft of public funds, may therefore be misplaced because corruption is simply a symptom of a much, deep-rooted general decadence and collapse of values in the society that demands more than the mechanistic anti-corruption police method. The architecture on which corruption is built – the family, church, institutions of learning, civil society – needs to be comprehensively re-oriented and revalued and its deviants sanctioned, without let up. The civil service and the Nigeria Police are two key institutions of state one had expected would be given a drastic shake up, early in the administration, under the CHANGE DOCTRINE, given their collaboration and connivance in the rotten state of affairs the Presidency is seeking to redress. But what fundamental change can we expect in these institutions when even the President seems to give kudos to civil servants while deriding ministerial positions and where a Mike Okiro remains as chairman of Police Service Commission, Okiro under whose tenure as Inspector General of Police, a principal suspect in the killing of the Apo Six, in Abuja, escaped right at the Police Headquarters in Abuja! It took the intervention of then President Olusegun Obasanjo for the killing of the Igbo traders to be investigated because, as is usual with police cover up, the victims had been labelled armed robbery suspects. The case is still unresolved. That is the state of Nigeria today and why President Buhari cannot belong to all, but to only those ready to join the Save Nigeria Brigade. So, as we enter 2016, we expectantly wait for the SHERIFF to ride into town, blazing.